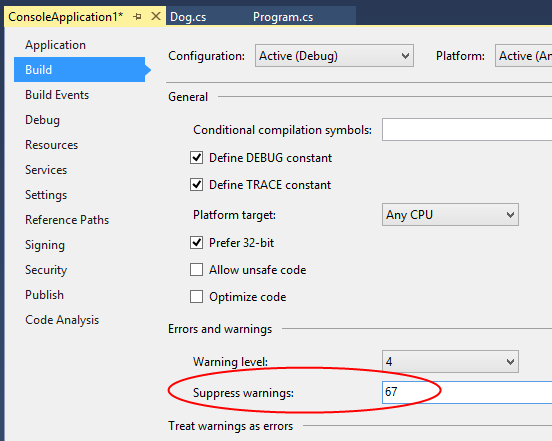 You can use #pragma warning to selectively disable certain warnings that occur when compiling your code. When #pragma warning disable is encountered, the specified warning will be disabled for the current file, from the point where the pragma appears until the end of the file, or until a #pragma warning restore is encountered for the same warning. 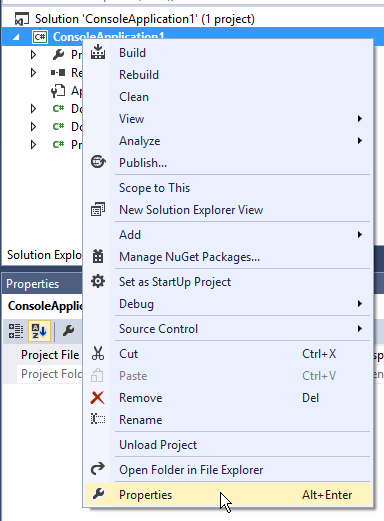 If you want to disable a particular warning for all files compiled in a project, rather than just within a single file, you can add the warning number to the Suppress warnings field on the Build tab in the project properties window. This will suppress the specified warning for the entire project.